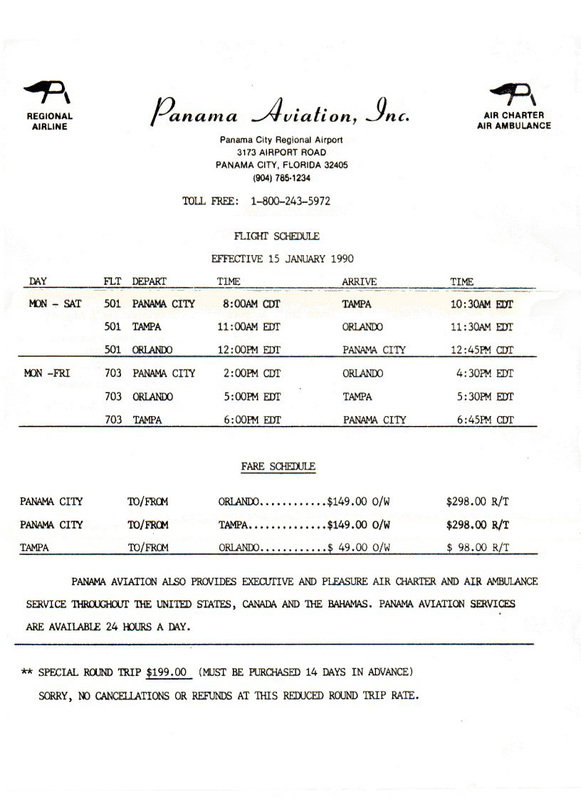 Panama Aviation, Inc. began scheduled commuter airline services under the name Panama Airways in January 1990 using twin-engine Piper Navajos between Panama City, Tampa and Orlando, Florida. Service was later extended to Pensacola, FL and New Orleans. The airline lasted little more than a year and shut down in 1991. Timetable scan courtesy of Don Henchel.